The research clusters are the structural foundation of the IC HD organization. Furthermore, the heads of the clusters have a leading role for the development of the center as well as for its internal information flow and communication. However, the research clusters have an autonomic regulation of their work structure. 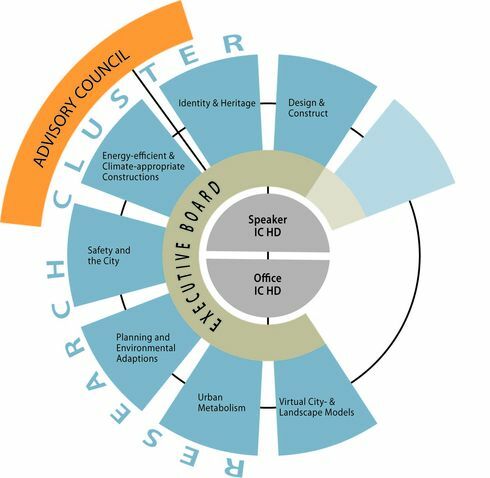 The heads and deputies of the research cluster guarantee the communication within and between the research clusters. Additionally, they are the direct contact persons for the speakers of the IC HD, the IC HD office and management of the TU Berlin. Currently, the IC HD has seven research clusters. This number is not fixed while the development of the innovation center is still in progress. The IC HD executive board formed by´ the research cluster heads, the speakers, and the deputy speakers. The executive decides on and passes the yearly IC HD work program, about the principle development of the center as well as its budget. Currently, the executive board meets on an almost monthly rhythm. The IC HD is lead by its speakers. These speakers and their deputies are elected by the research cluster heads. The IC HD office and employees are attached to the IC HD speaker and support him/her with their work. 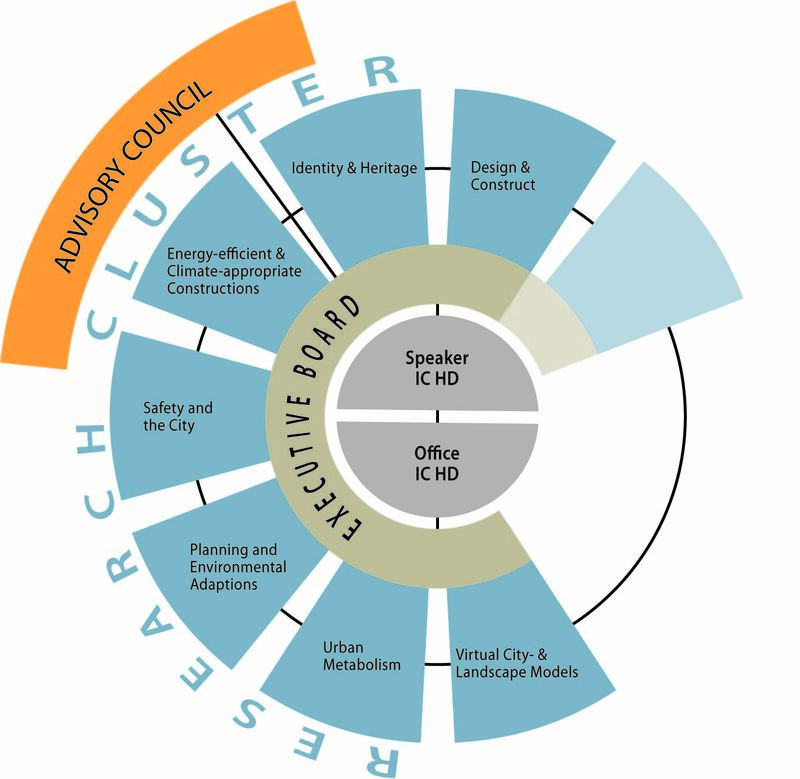 The IC HD has an advisory council, which is constituted by high-ranking and innovative experts within the prospective research field of habitat design. In its entirety of all members, the IC HD is meeting on a yearly basis, together with its advisory council and external experts. During this meeting, it discusses and feedbacks on the research results of the clusters, as well as perspectives for the future development of the IC HD and the research clusters.